The Obama administration takes office on the promise of change while inheriting a host of challenges. If Obama were to overhaul the bilateral relationship with China right off, he could find China a crucial ally in relieving some of his migraines. Unlike the U.S., China never pretended to be a superpower and global gendarme. Thus, the Chinese are able to maintain civil, if not downright cordial, diplomatic relations with nations unfriendly to us, such as Russia, Iran, Pakistan and North Korea. Since China has gotten along well with most nations, it is in position to cajole international cooperation in America's place. With China's help, we can save the cost of shuttle diplomacy and military intervention. The Pentagon and the military industrial complex love to position China as the next evil empire to justify huge defense budgets. Much of advanced weapons development is allegedly in response to a rising China. However, China is neither a belligerent state nor has the military might to compete with the U.S. By seeing the real China, we could avoid spending hundreds of billions of dollars. Chinese companies are interested in investing in America. They could come to the U.S. to license, form alliances and joint ventures or take over shuttered plants. Haier is one of China's major appliance makers and the first to build a plant in the U.S. Other Chinese investments followed Haier to South Carolina, giving the local economy a palpable shot in the arm. People in South Carolina know the story, but most in the U.S. do not. Chinese companies could create jobs in America, but the new administration and Congress need to send out a new message that Chinese investors are as welcome as anyone. Guidelines on permissible investment need to be transparent and clearly delineated so Chinese companies know where they stand. Case-by-case debate in Congress, with gratuitous rancor thrown in, can no longer be tolerated. Export control policy toward China should be revamped so that China can be accorded the same respect as any customer. The notion that goods sold for civilian use could also find military use and therefore must be restricted when exporting to China is outdated and insulting. The complex export licensing process has been costly to administer, costly for American manufacturers to comply and costly for the Chinese buyer to follow. China is a major opportunity for high-tech exports, but only if we do not handcuff ourselves when we compete with Japan and Western Europe. The broad and ambiguous export control policy also allows the FBI to use suspected violations as cause to harass Chinese-Americans. Simplifying export regulations removes another excuse for racial profiling. Energies could be better directed to really protecting the homeland. The State Department should simplify the visa-granting process to business travelers from China rather than treating China as another pariah state. This would encourage more commercial exchange and facilitate inbound investment. By treating China as a respected peer, the Obama administration would not only recognize the reality of the new world order but would gain an ally that could provide diplomatic cover in parts of the world essential to world stability and help rescue America's foundering economy. Chinese leadership from Hu Jintao on down frequently talks about creating a harmonious society and looks for win-win solutions. It's time we listen. 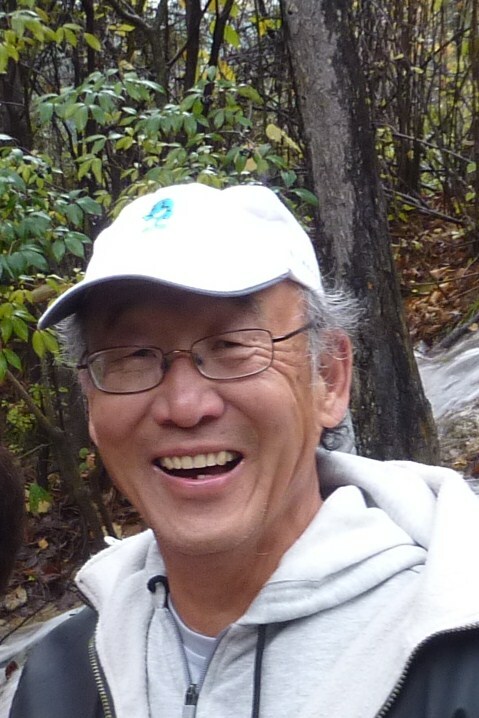 Dr. George Koo is a retired business consultant who has traveled to approximately 60 countries. He writes a personal blog, http://georgekoo.blogspot.com/ and wrote this article for the Mercury News. A slightly longer version is posted on New America Media. Hope you do more to influence US politics.